The new year is shaping up to be a productive and prolific one for novelist Rebecca Cantrell. On February 5th, The Tesla Legacy debuts. 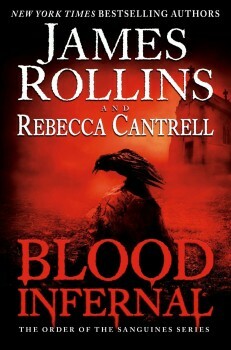 Barely a week later, BLOOD INFERNAL—which she co-wrote with James Rollins, and serves as the finale in The Order of the Sanguines series—debuts. In BLOOD INFERNAL, a supernatural mystery—or as Cantrell prefers to call it, a “gothic thriller”—set on the eve of the Apocalypse, archaeologist Erin Granger, Army Sgt. Jordan Stone, and Fr. Rhun Korza team up for a final mission. As an escalating scourge of grisly murders sweeps the globe, Erin must decipher the truth behind an immortal prophecy foretold in the Blood Gospel, a tome written by Jesus Christ himself and lost for centuries. Lucifer walks the Earth, and it will take the light of all three protagonists to banish him again to eternal darkness. Erin discovers that the only hope for victory lies in an impossible act, which will not only destroy her, but everyone and everything she loves. To protect the world, Erin must walk through the gates of Hell and battle Lucifer himself. Rollins conceived the idea for The Order of the Sanguines and drafted a rough outline when he approached Cantrell, whom he met several years ago at the Maui Writers Conference. At first, he couldn’t tell her too much about the series, but he eventually caved and told her it was about vampires that have infiltrated the Catholic Church disguised as priests. Cantrell found that concept “too cool to resist” and they collaborated on the trilogy, as well as two short-story collections called Blood Brothers and City of Screams. Even though the characters go out with a bang in BLOOD INFERNAL, the authors are sad that they won’t be writing about their adventures in a fourth novel. “I’d lived with [these characters] every day for years and thousands of pages and now I won’t be going out to play with them. It feels like my best friends moved away,” lamented Cantrell. There is the possibility of bringing these characters back in a new adventure someday. 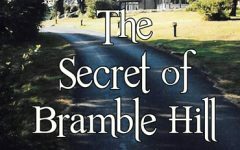 “While the trilogy comes to a resounding conclusion, Rebecca and I’ve laid some seeds for future stories set in this universe, both with these characters and maybe even a new cast. So, yes, there will be a respite of sorts as we both turn our full attentions to our individual careers, but deep down, I know Rebecca and I will be journeying here again. It was too much fun working with Rebecca and those characters are still whispering in my ears,” explained Rollins. 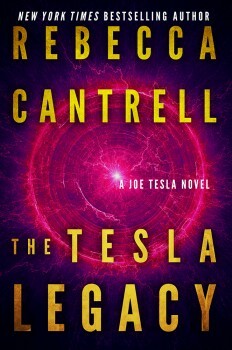 Speaking of their individual projects, one of Cantrell’s is the aforementioned Tesla Legacy, where series hero Joe Tesla, an agoraphobic New York City multi-millionaire, returns in the sequel to The World Beneath. Joe inherits a box containing mysterious papers authored by brilliant scientist/inventor/futurist Nikola Tesla. 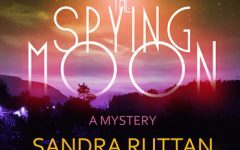 After writing about the Apocalypse and vampires for so long, it was a refreshing change for Cantrell to write another Tesla novel. 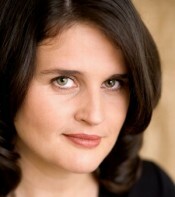 Find Rebecca Cantrell on Facebook, Twitter, and her website. James Rollins is the New York Times bestselling author of international thrillers that have been translated into more than forty languages. 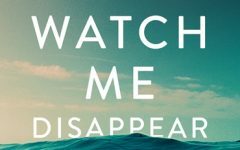 Known for unveiling unseen worlds, scientific breakthroughs, and historical secrets, Rollins has a knack for breakneck pacing and stunning originality that has been hailed by critics and embraced by millions of readers around the world. To learn more about James Rollins, please visit his website and follow him on Facebook and Twitter.